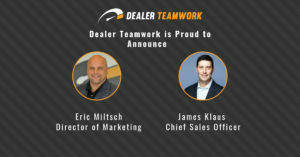 The American International Automobile Dealers Association (AIADA) and Dealer Teamwork announced a new partnership today! We are officially the exclusive Affinity Partner for digital marketing services endorsed by AIADA. Learn more about our AIADA partnership or visit the AIADA Member Benefits Profile page on their website. 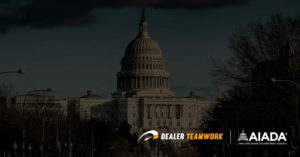 Alexandria, VA (April 1) – The American International Auto Dealers Association (AIADA) today announced a new Affinity Partnership with Dealer Teamwork. Dealer Teamwork is an industry leader focused on saving hours and even days’ worth of work merchandising their inventory for digital channels with their patented platform, known as The MPOP®. It also has done more than improve speed-to-market; it has improved the quality of advertising and website traffic by allowing dealers to push relevant transactional data to their linked marketing channels instantly. Cruise Control Pro, a feature of The MPOP®, takes this speed-to-market to levels never seen before. Dealers leveraging The MPOP® never again have to worry about being without specials, incentives and offers on their website, search engine marketing, social media and in email campaigns. Cruise Control Pro may be the most proactive and accurate member of your marketing team. 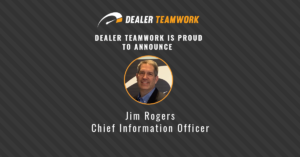 “In today’s hyper-competitive new car market, Dealer Teamwork powers dealers to make real-time changes to their online merchandising efforts,” said AIADA President and CEO Cody Lusk. 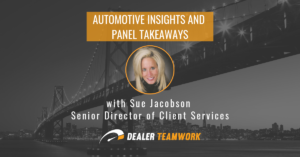 “Dealer Teamwork has solved the number one problem in automotive digital marketing–coordinating offers across marketing channels in real-time. “There is no comparison–the MPOP® is a game changer,” states AIADA Chairman Howard Hakes of Hitchcock Automotive Resources. AIADA researches hundreds of companies serving the automobile industry and selects only those that provide the highest value and quality products, sales, and services to participate in the Member Benefits Program as an Affinity Partner. For more, visit www.AIADA.org.